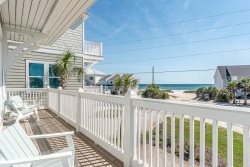 Here at Holiday Beach Rentals we understand what makes a vacation home right for our guests. We make it our business to find vacation rentals of the highest standard that go above and beyond our guest's expectations. By providing the finest in vacation rentals we can ensure that our guest's vacation is a success no matter which property they decide to stay in. Our properties are constantly monitored to ensure our guests walk into the beach luxury they imagine and expect when booking a property with Holiday Beach Rentals. We've worked extremely hard to come up with the right team that makes us unique, thoughtful, and a step above the rest. We know what it takes to run a successful vacation rental management company. Providing stunning homes, cleaned by quality employees, and providing remarkable customer service is what sets us apart from the rest. Whether you are renting with us or putting your rental in our hands as an owner you can be sure that you are working with the best. Providing a lavish and memorable beach vacation is not just our goal, it's our priority. The Owners of Holiday Beach Rentals, also own Rainbow International, a restoration company that specializes in water, fire, smoke and mold cleanup. Together Rainbow International and Holiday Beach Rentals offers a protection and maintenance program exclusive to our owners. Included in our program is a hurricane protection plan. We create a detailed floor plan of your home, in order to ensure we know exactly what is needed to restore your investment in case of an emergency. Holiday Beach Rentals properties are also given top priority when an emergency happens. So our owners can rest assure that their homes are guaranteed immediate service. Our hurricane protection plan is just another added bonus when using Holiday Beach Rentals as your management company. Click here to check out some guest reviews!